Spectacular private 324 acre ranch with prairie modern architectural home inspired by Frank Lloyd Wright. The breathtaking 360-degree views from this property might just be the best you will ever see! Tullstarr Ranch is a custom built, private full service retreat in the scenic Nicola Valley, accessible by helicopter. The 2231 sq ft main house offers 2 luxurious master bedroom suites, 3 full bathrooms, and a loft upstairs with 4 queen size bunks. The industrial scaled kitchen features an over-sized island adjacent to a soaring great room with wood burning fireplace, floor to ceiling windows, spacious dining room and lounge area. The wrap around deck offers so many options for relaxing, alfresco dining and star gazing. The 1975 sq ft Ralph Lauren inspired barn is a rustic chic communal style dwelling and can sleep up to 16. It includes a kitchen, dining table for 20, pool table, office area, commercial bbq, large deck, workshop and full bathroom. 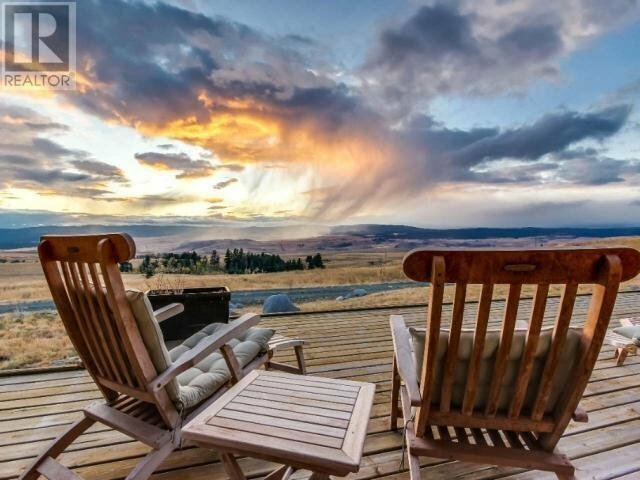 Highlights include: Nearby fly fishing, bird watching, star gazing, boating or swimming on one of the several lakes, hunting, horseback riding, off-roading for ATV's, cross-country skiing, snowshoeing and mountain biking. The outdoor activities here are limitless.